Yesterday, we began a three-part series by guest blogger, Dr. +Ralph Neighbour. Please see that post before reading this one. “As you look around right now, wouldn’t you say that in about four months it will be time to harvest? Well, I’m telling you to open your eyes and take a good look at what’s right in front of you” (John 4:35). Every believer is a priest. A priest is a connecting link between Christ and a person who needs His presence. 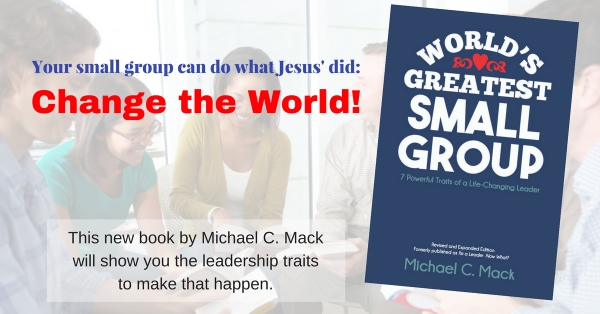 Every small group is a priesthood. They are to practice “prophesying” as defined in 1 Cor. 14:3 and 14:24, ff. Every small group has a special mission field that must be exposed to Christ. I have observed that a universal contrast between American churches and overseas churches who have cell/small groups is their core values. In America, small groups seem to exist as “holding tanks” for congregations who are not equipping, nor expecting, each member to be a priest empowered by Christ and to reveal Him in their communities. There is a fuzziness about the purpose of groups. Some are for “discipleship” or “Bible study” or to keep members “involved,” but few have an awareness that their primary task is to be used by Christ to harvest unbelievers. Overseas, groups are formed on a conviction that all believers function as priests, that all groups contain Christ’s presence and power and that Christ dwells in His new body to draw all men to the Cross. He does this by energizing the body members to edify, exhort, and console one another. The observation of this by searching unbelievers reveals His presence, leading to repentance and salvation. Thus growth takes place as new believers are added to the groups. There is a great sensitivity overseas to the responsibility of each believer to see his relatives and friends as a personal mission field, and the total of these persons connected to the group, as their “mission field.” Each group will list the total number of unbelievers and focus on how to jointly connect to them. Half nights of prayer for them are common. Group meetings will be planned to invite them as guests, where they are allowed to observe the members ministering spiritual gifts to one another. As the guests begin to share their own burdens, they are embraced in love as they surrender to Christ’s Lordship. Thus, the stark contrast between American groups and overseas groups is the intentional ministry of the second group. They see themselves as vessels containing the Godhead, accepting the responsibility of exposing Him to guests by manifesting ministry gifts to one another. Spending at least equal time being in the households of the unbelievers as spent in group meetings will take place in certain seasons of the group’s calendar, leading to a harvest point for the entire congregation. This is the third fact we shall discuss in Part 3, tomorrow.